Isla De La Toja, 36991 La Toja, Spanje. 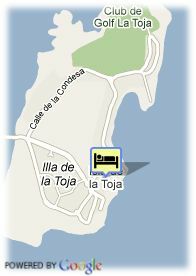 Quality, well-being and luxury hotel on the Toja Island. The Louxo Hotel is a establishment conceived in order to satisfy until the minimum wishes of the clients. The Louxo Hotel is located on the Toja Island, important touristic centre of the Rías Bajas and authentic natural heaven. Among its large and varied range of services stand out a complete gymnasium and spa, shops, indoor and outdoor swimming pool, large gardens and casino. But there are no doubts that the jewel of the Louxo Hotel is its special restaurant where you can taste the best products of the Galician cuisine, such as fish or shellfish. 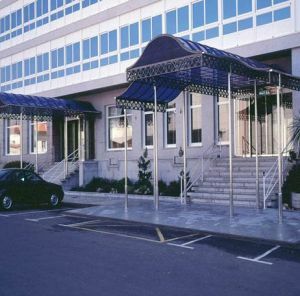 The Louxo Hotel is also perfect to celebrate conventions and incentives, having among its facilities large sitting rooms equipped with the up-to-date technical technology and qualified staff. It has received the Q of the touristic quality, certificate which guarantees the maximum quality in all its services and facilities. Ideal to spend there the holidays or Business Trips, the Louxo Hotel is an authentic luxury for all the senses.